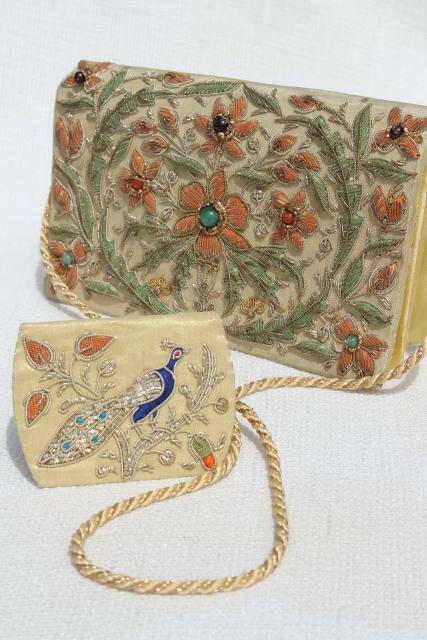 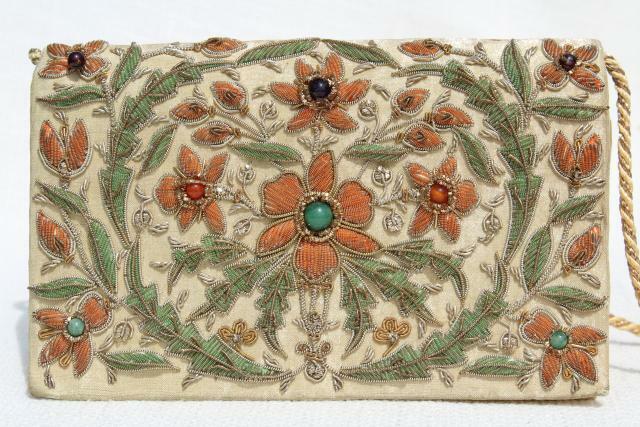 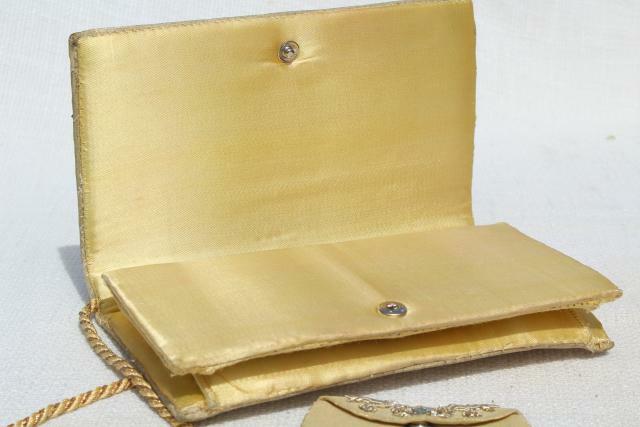 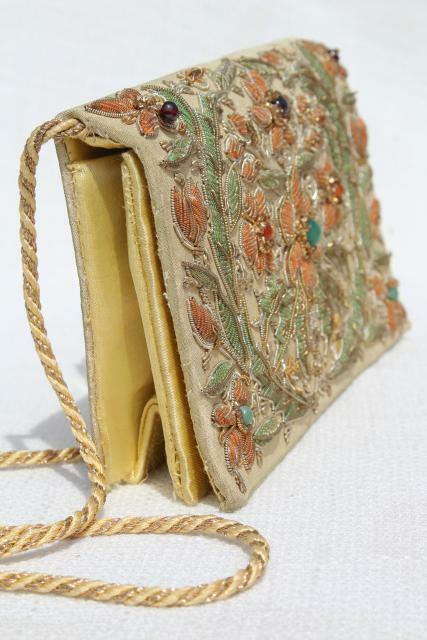 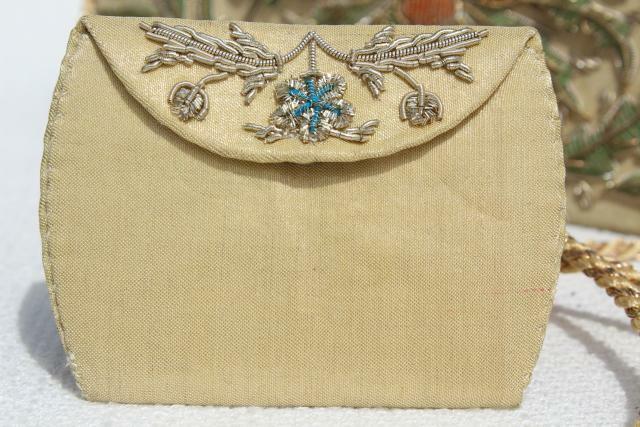 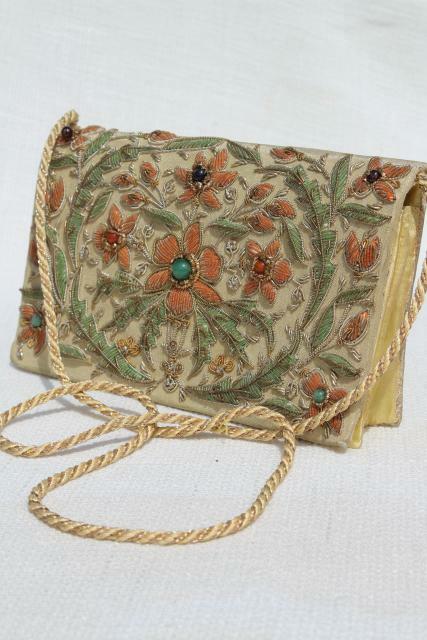 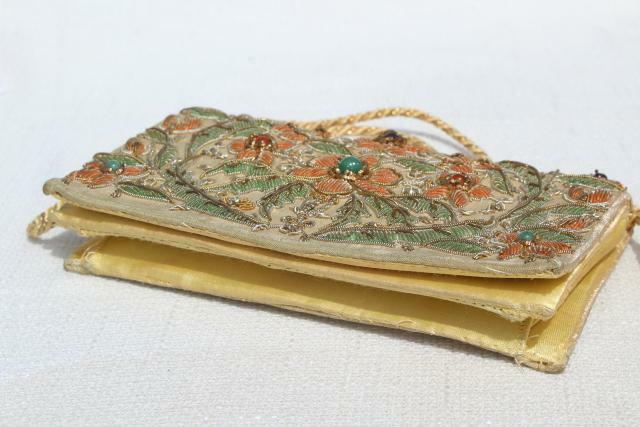 Vintage silk purse and small silk pouch with metal embroidery accented with stone bead gems. 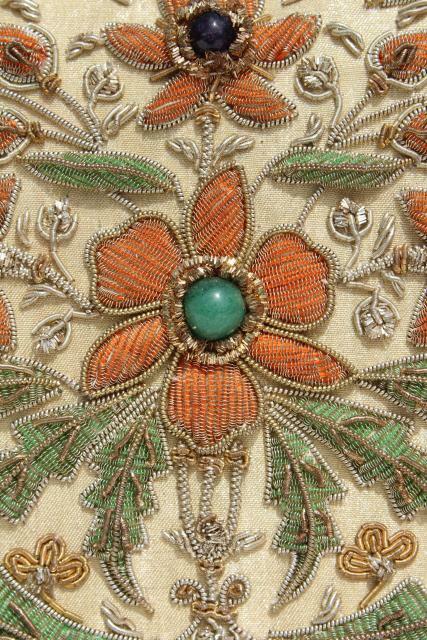 These aren't marked that we could see - we were told they were from India. 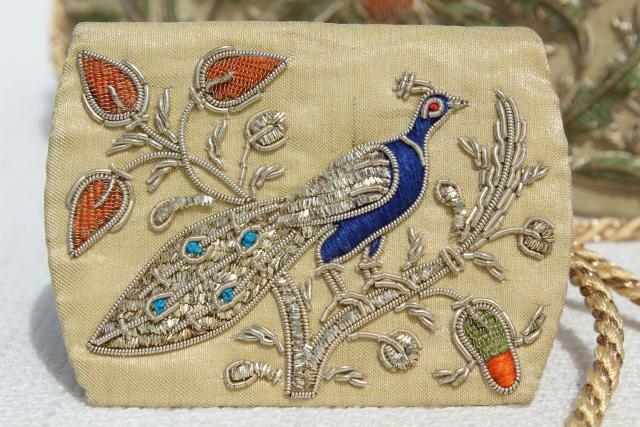 The pouch with the embroidered peacock measures about 3 1/2" x 2 1/2". 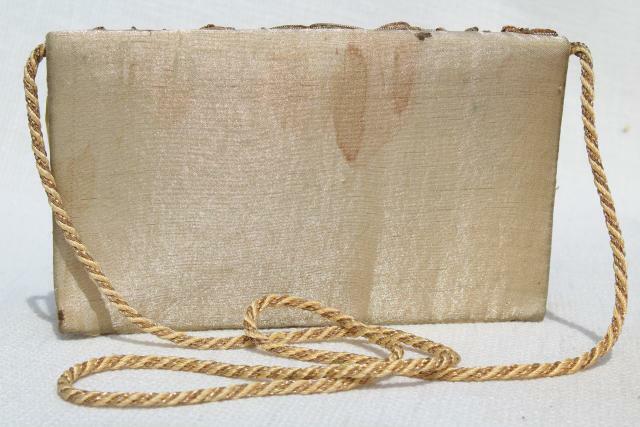 The purse measures 7 1/2" x 4 1/2", it's flat enough to use as a clutch with the shoulder strap cord tucked inside. 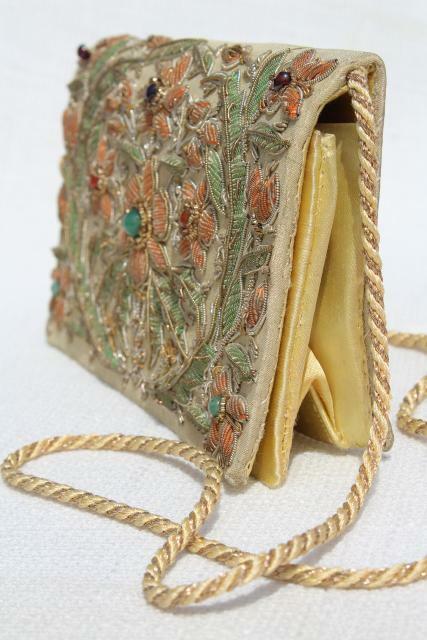 The purse has some brown water spotting, most visible to the back exterior. 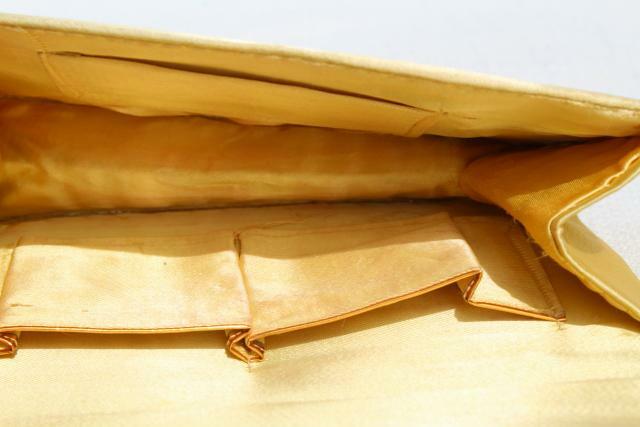 We saw no rust from the metal design, and wanted to keep it that way, so we haven't attempted to clean it. 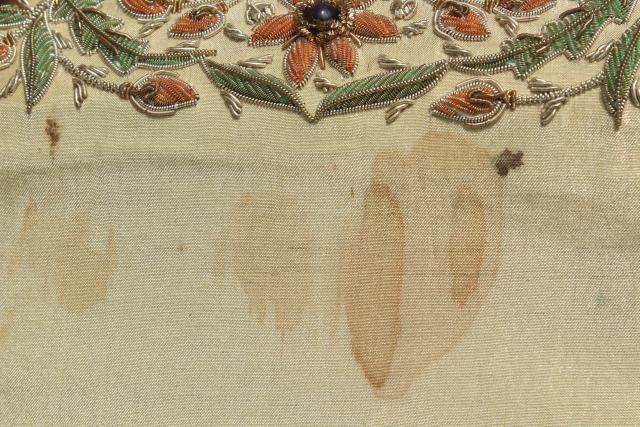 Maybe dry cleaning would help, or a new backing fabric if all else fails. 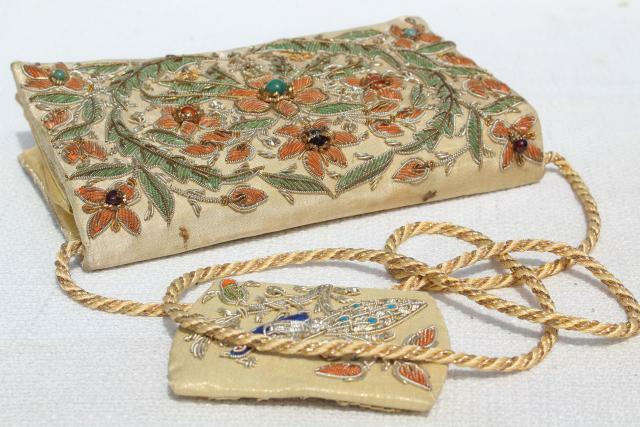 This is such a beautiful set, well worth a little restoration work.